Head-to-head right in the morning, L’Ermitage du Rebberg, is the place of conviviality par excellence. 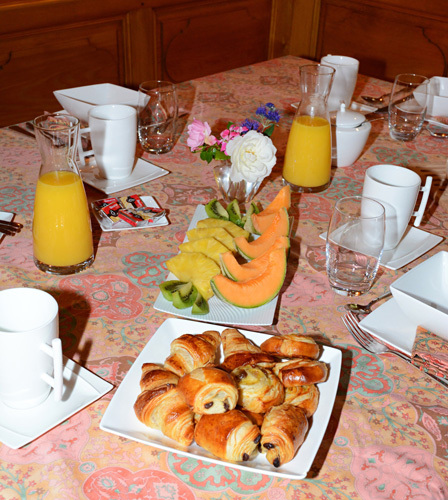 L’Ermitage du Rebberg, Bed & Breakfast in Alsace, proposes to you to discover, directly on your table, a cheerful breakfast buffet, mixing colors and flavors and privileging local products: Assortments of Viennese pastries and breads, Fruit salad, Fresh fruit, Oranges, Yoghurts, Assorted cereals, Butter, Jams, Rusks, Assorted cold meats and cheeses, Coffee, Tea or Chocolate, eggs on request. 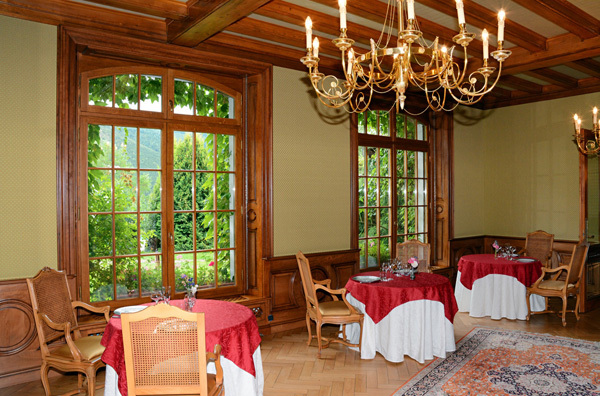 The Ermitage du Rebberg B & B has chosen to serve you the buffet breakfast, just for you, from 8.30 am to 10.30 am, at an individual table, in its pretty paneled dining room overlooking the lawn and the rose garden. At the Ermitage du Rebberg, Bed and Breakfast in Alsace, everything is thought for every moment to be a source of relaxation.